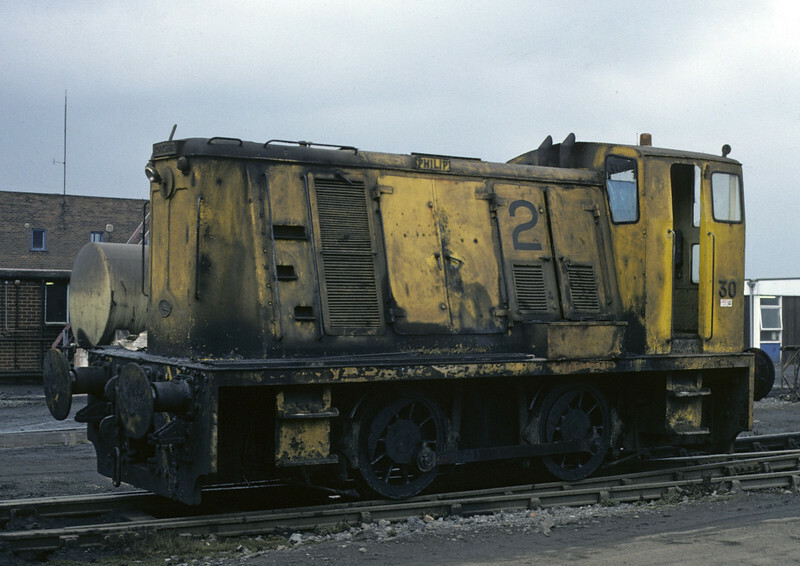 11 photos of industrial diesels at the steelworks one year before they closed. Bilston Iron & Steel Works No 2 Philip, Bilston, Tues 28 February 1978. Previously No 30. Yorkshire Engine Co 0-4-0DE 2507 / 1952. Photo by Les Tindall.